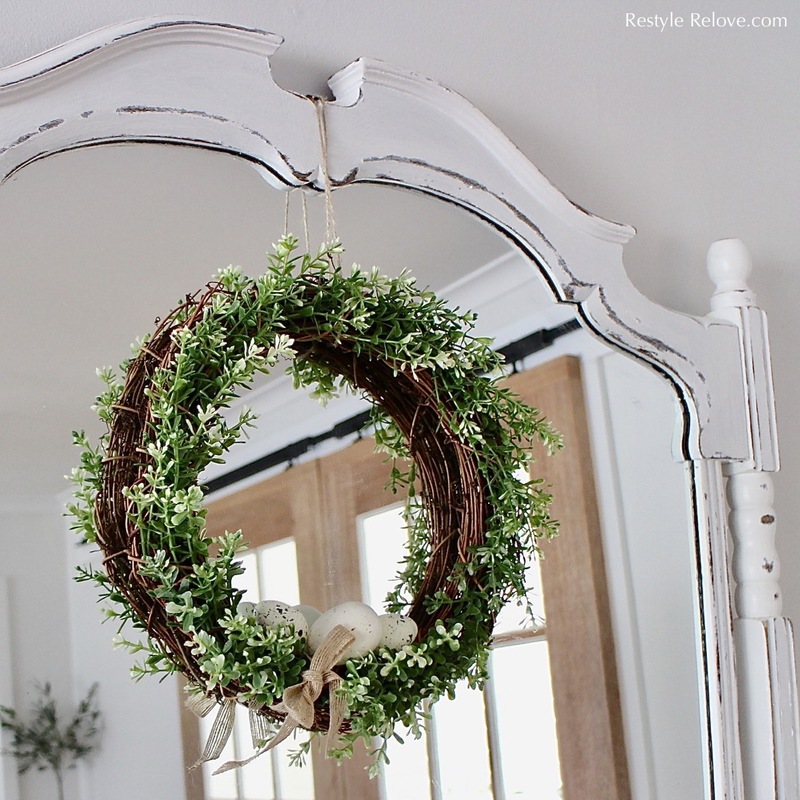 Today I'm sharing this cute fresh little Spring/Easter wreath. 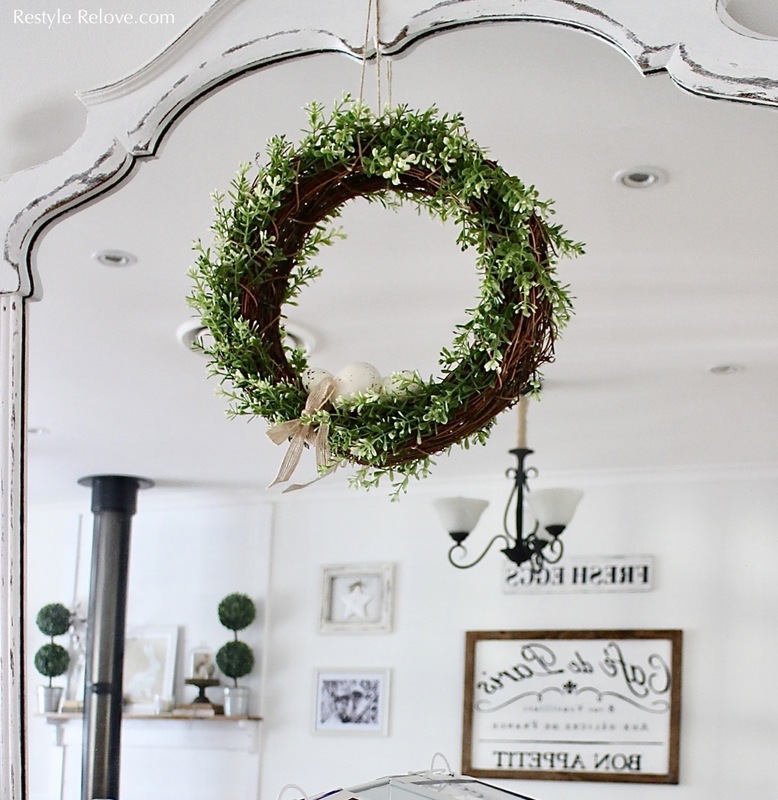 For this project I used a rattan wreath, Ikea artificial plant stems, some speckled foam eggs, burlap ribbon and jute twine. 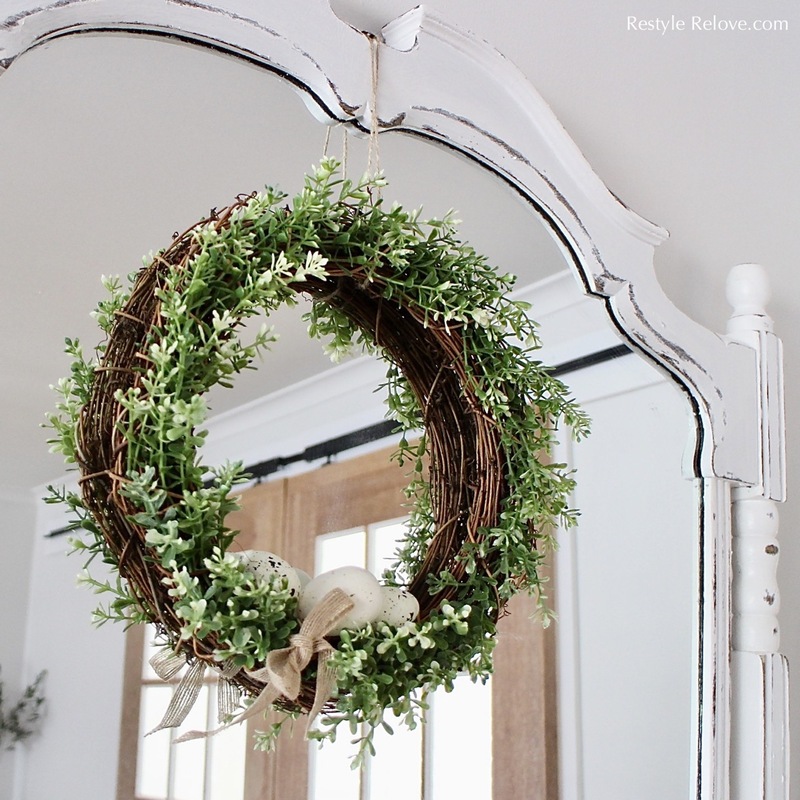 Using my hot glue gun I attached my stems evenly around the wreath. 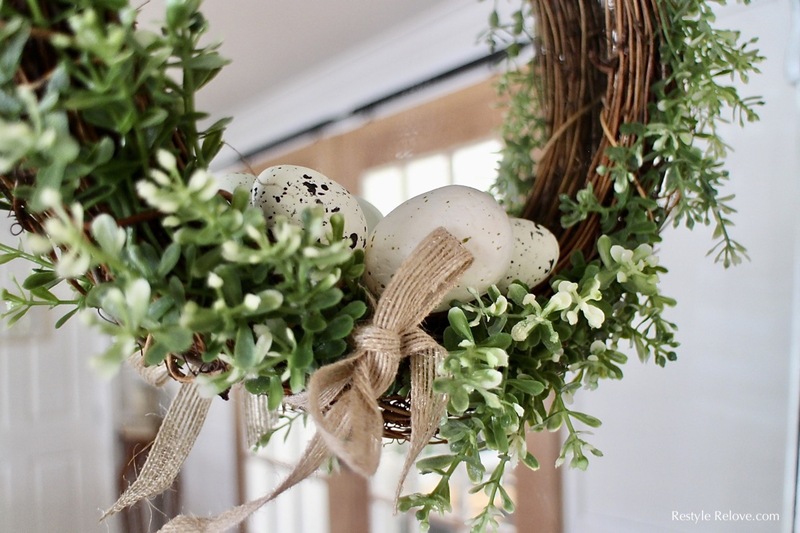 Then I added my eggs and tied my burlap ribbon in a sweet little bow. 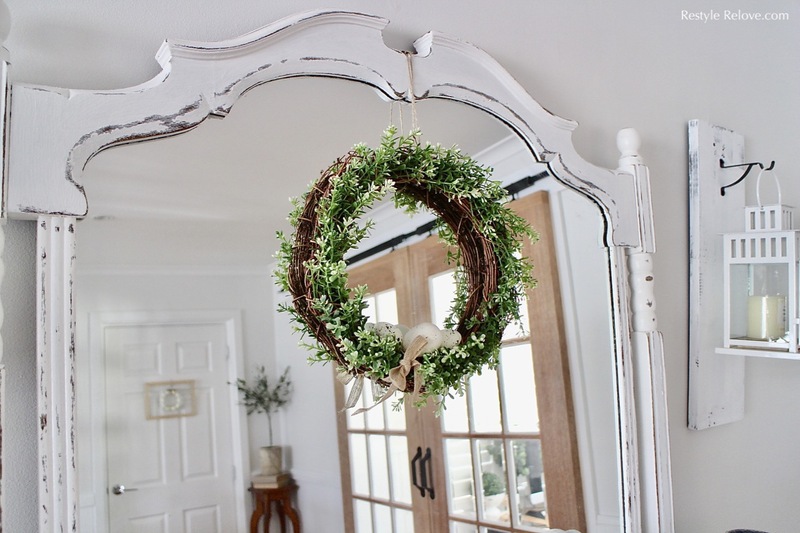 I hung the wreath using jute twine on my sideboard mirror. I love the reflection which makes it appear larger.